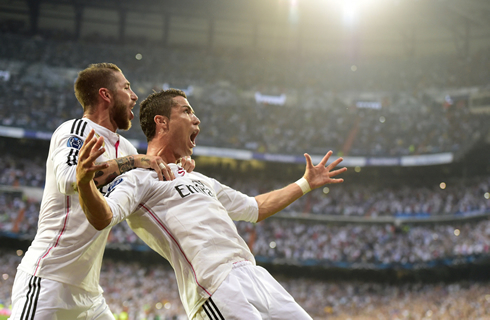 Real Madrid are out of the UEFA Champions League! The hosts couldn't do better than drawing 1-1 against Juventus this Wednesday night and ended up losing 2-3 on aggregate. Cristiano Ronaldo still gave hope to the Merengues with the opening goal, but Alvaro Morata's equaliser proved to be enough to send Juventus to the Berlin final, where they'll now be facing Barcelona. The reigning European champions won't be able to defend their crown in the UEFA Champions League final this year, as Real Madrid failed to get past a very compact Juventus side at the Santiago Bernabéu. The two teams didn't go beyond the 1-1 draw, and it's Juventus who ends up going through into the competition's final round, thanks to a favorable aggregate score of 2-3. Carlo Ancelotti's men still fed the dream of "La Undécima" when Cristiano Ronaldo scored the opener in the 23th minute of the first half, but Morata cancelled out Ronaldo's penalty shortly after the break. The former Madrid player sent Juventus to a much-desired final, where the Bianconeri will have to lock horns against the almighty Barcelona. 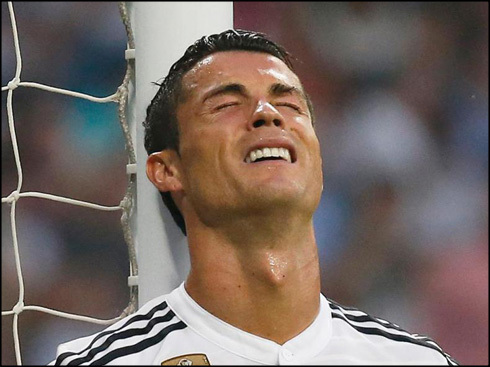 Real Madrid have basically lost all hopes of still winning any silverware this season in their last 2 games. When they dropped points against Valencia last weekend, the general feeling was that not all was lost yet, since this Wednesday's Champions League clash could still save the season. However and after drawing again their game tonight, the Merengues said goodbye to their dream of becoming the first team ever to win the back-to-back Champions League titles. Carlo Ancelotti only made a couple of changes to his side when comparing to the team that had already played in Turin last week. Basically, the Italian manager pulled Sergio Ramos back to his natural position in the center of the defense and switched Pepe for Karim Benzema to allow Madrid to return to its preferred tactical system, the 4-3-3. 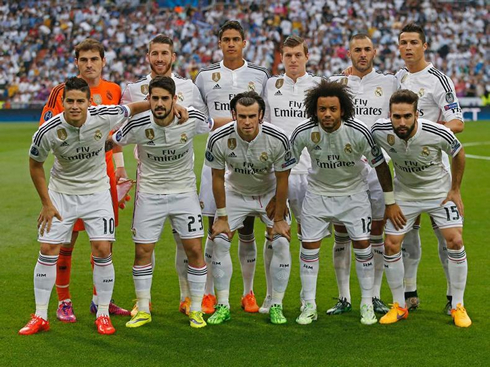 Upfront and with Benzema back on the team, the BBC finally made its reappearance. It's been almost a full month since Bale, Benzema and Cristiano Ronaldo had played together. The last time they had been on the pitch all at the same time was on April 14, in the first leg of the UEFA Champions League quarter-finals, in a goaless draw against Atletico Madrid at the Vicente Calderón. The first goal of the night took place near the 23th minute of the first half, when James Rodríguez picked up a pass from Cristiano Ronaldo already inside Juventus box, just to be knocked down moments after by a sloppy Chiellini. The Colombian was not exactly in a good position for scoring straight away, but the Italian defender's impetuosity led him to clash with the 23-year old and bring him down inside the box. 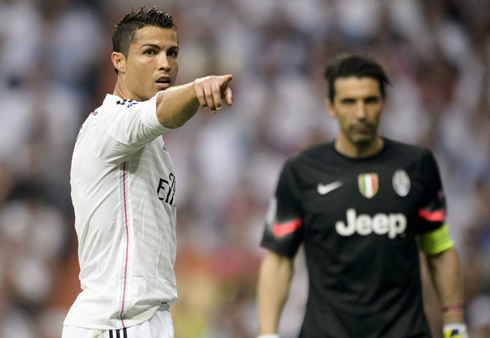 The referee pointed to the spot and it was Cristiano Ronaldo who naturally stepped up to convert it and beat Buffon to make it 1-0 for Real Madrid. At this point of the game, Madrid were already leading the tie, since their away goal in Turin was giving them the precious advantage. All they needed from that moment onwards was to slow down the tempo of the game and let Juventus taste some of their own favorite medicine, the "Catenaccio". Instead, Ancelotti didn't seem to bother much about adapting his tactics and shockingly allowed the game to open up even further. Without much surprise, this game wouldn't finish without one of the sides scoring again and unfortunately to the Merengues, it would be Juventus' time to celebrate now. Inside the 57th minute of the game, a free-kick from the right taken by Andrea Pirlo led to an initial clearance from Casillas, which was then followed up by a big lob into the box by Vidal, targeting Pogba. The French midfielder jumped higher than Sergio Ramos, headed it to the middle where Morata was arriving and the former Real Madrid striker slotted it hard past Iker Casillas, to set the final score in 1-1. After that goal, Massimiliano Allegri did what Ancelotti decided not to do before and shut down all their opponents' attacking intents by playing tight and intelligently. It's hard to admit, but Juventus were tactically the better side tonight and they've made enough to deserve to go through to the Champions League final. The Italian champions will now meet Barcelona in Berlin, on June 6. Cristiano Ronaldo next game will be for La Liga against Espanyol, on the 17th of May of 2015. You can watch Juventus live stream, Espanyol vs Real Madrid, Atletico Madrid vs Barcelona, Fiorentina vs Sevilla, Tottenham vs Hull City, and Dnipro vs Napoli, all matches provided from our sports live section.